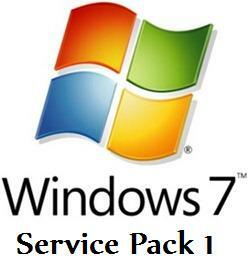 The most awaited first service pack for Windows 7, Windows 7 SP1 (service pack 1) is will soon be open to the public for download. Microsoft has first shipped the service pack to its OEM partners, then to the users of MSDN service and customers with volume license. The Windows 7 SP1 will be released on February 24th to the public. The service pack will be available via Windows Update or as a standalone download. As suggested, users of single PC or home users should use Windows Update instead of standalone installer whereas customers with multiple PCs should download the update from Microsoft download. Scan the computer for malware and viruses. Make sure your antivirus software is up to date before doing so. Update your device drivers from Windows Update if available, to make sure the devices are compatible with the service pack. Backup your important data and files prior to updating to service pack 1. Connect a mobile computer, laptop, netbook or notebook to a power outlet before you start the installation of the service pack. Make sure you have enough free disk space available for the service pack . Microsoft recommends to disable antivirus software during installation as it can interfere with the installation. If one of your system files are corrupted, you can check and fix them with the stf /scannow command on an elevated command prompt. Keep your Windows 7 DVD at hand in case corrupted files need to be replaced. Microsoft has made available Windows 7 Service Pack 1 blocker tool, in case you want to block the deployment of service pack for a period of 12 months after the release.